Who doesn’t love Disneyland? It’s all about creating a fantasy world for families, and children in particular who can’t wait to see their favorite characters in person. However, behind this magical world, the furry and colorful costumes, the shiny rides, and especially the smiles, hides a very different reality, a reality that can only be understood from the perspective of someone who used to work at the world where dreams come true. 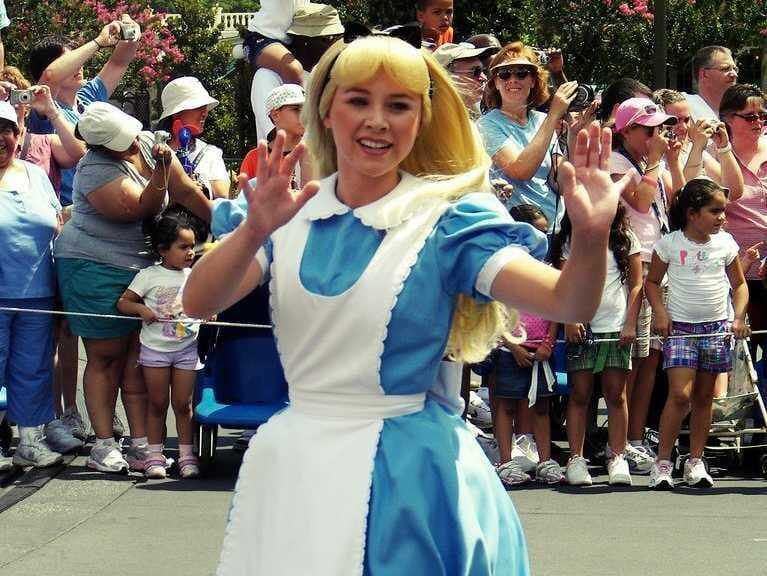 Here are some of the most surprising facts that former employees have shared from their time working at Disney Parks. 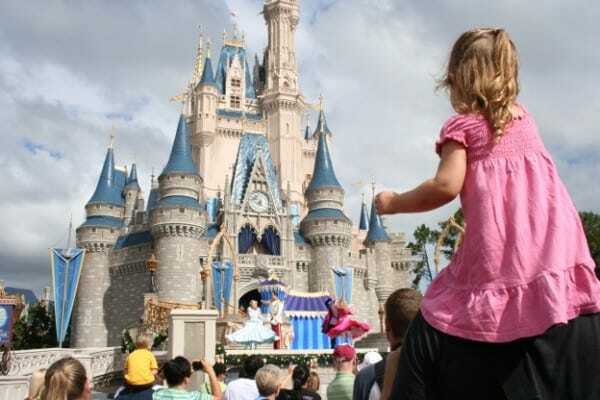 From strict employment rules to secret codes, it’s the best and worst of Disney World from the eyes of the people inside. 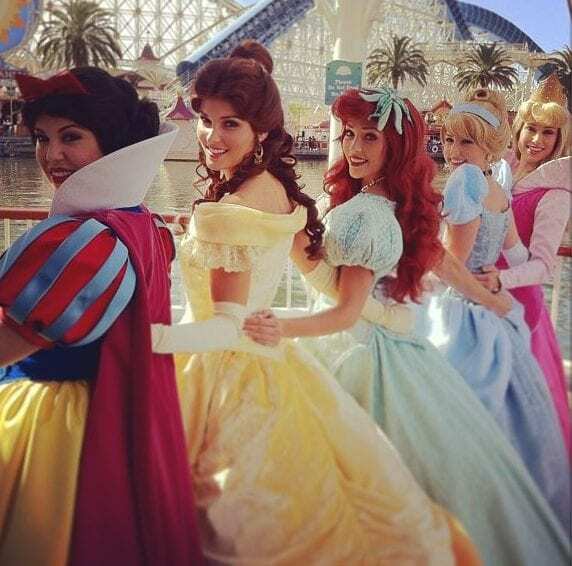 Many employees who worked as different characters in costumes reveal that one of the toughest things about the job was to have to stay in character the whole time they were on the clock. They couldn’t break out of character even if they were going on breaks. You can only imagine how hot it gets under all of these furry costumes. 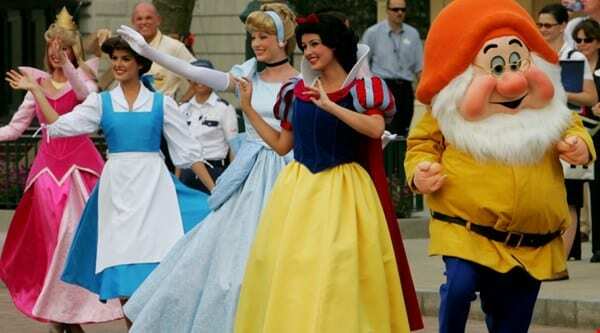 The reason behind that protocol was in order for the kids visiting the park not to have their fantasies or illusions of their favorite fictional characters shattered. Can you ever imagine Mickey mouse or Winnie the Pooh being sued? 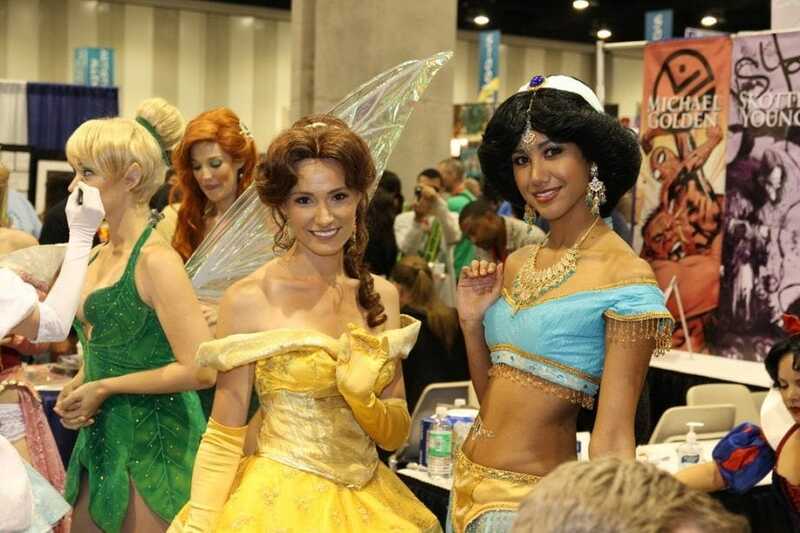 Well, apparently the most popular Disney characters, or at least the costumed ones, were charged with different offenses and have been dragged to court. 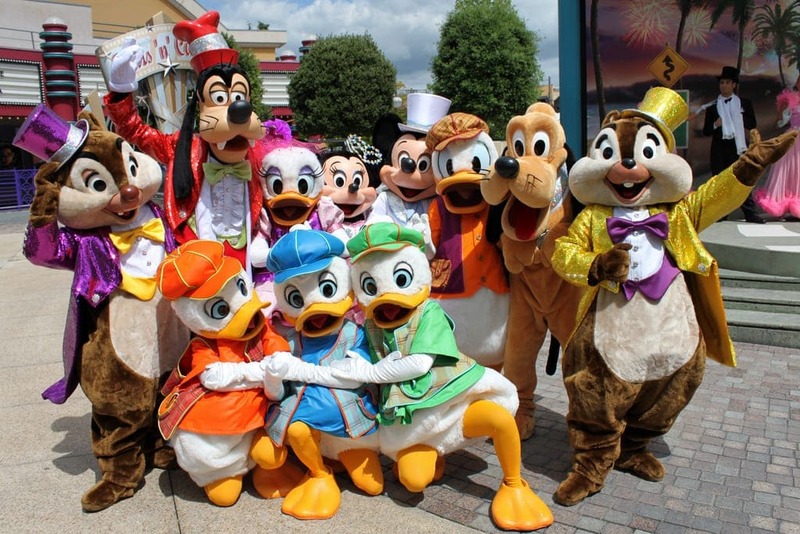 For example, 2008 was a bad year for both Tigger and Donald Duck who were being sued (well technically it was Disney) by a woman who felt they were behaving inappropriately Epcot park in Florida. In another earlier case, an employee who was dressed up as Winnie the Pooh was accused of slapping a little girl in the face. That same employee actually showed up for court in his costume, for some reason. That’s what you call staying in character. What happens when you combine junk food, lots and lots of junk food with little kids going on rides spinning around and being dropped down? You get one messy and dirty park from all that getting sick and throwing up everywhere. While it can be a totally normal thing, especially at theme parks, the sad and quite disgusting part about it is that the poor cleaning people have to clean up after those kids. 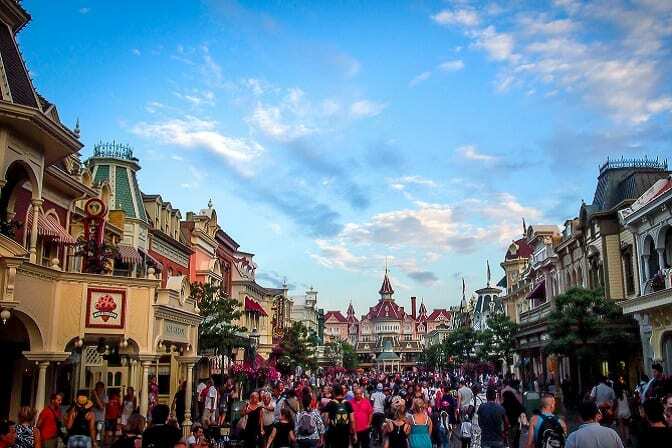 In fact, one time things got incredibly messy, when there were 36 cleanups in one day after people were riding the Rocket Rods at Tomorrowland, the Disneyland park in California. There are different ways to commemorate the lives of those who are sadly no longer with us, and one way is to scatter their ashes at their most favorite places and sites that they liked to visit when they were alive. 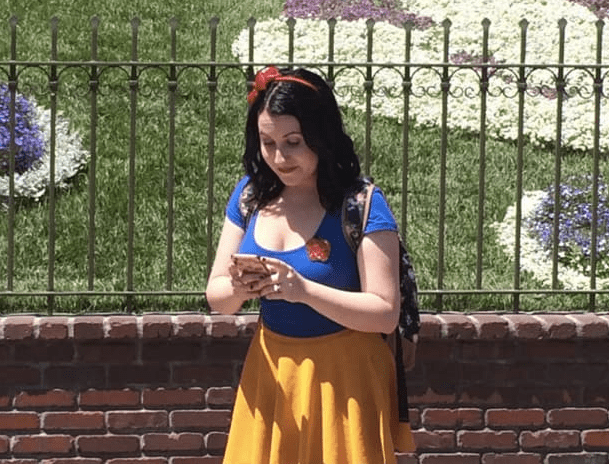 Moreover, it appears that there’s a epidemic of spreading ashes of the deceased at Disneyland, which is both creepy and gross at the same time. In fact, a woman was once caught on camera scattering what seemed like a powdery substance at the Pirates of the Caribbean attraction. 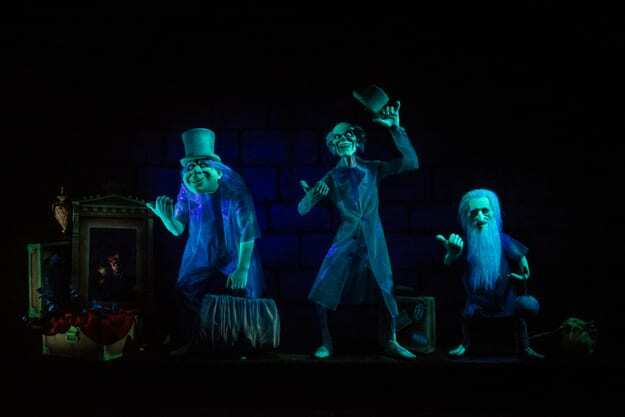 In a different incident, the cleaning staff reported that they found piles of ashes alongside the Haunted Mansion. 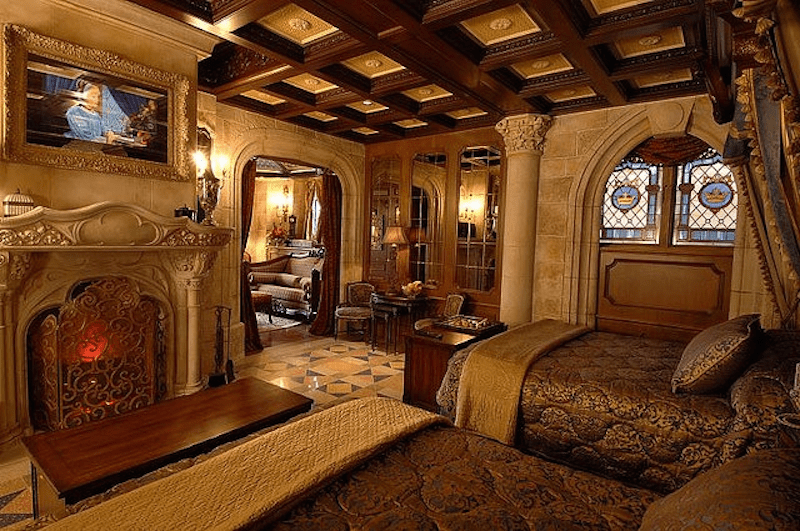 Cinderella’s castle is one of the most visited attractions at the Walt Disney World Resort, but what many people don’t know is that the only way to get into the luxurious lavish suite at the castle is by winning a competition. The secret suite can not be booked in advance, and only special guests, ,winners of a competition and very important people are allowed inside that secret room. 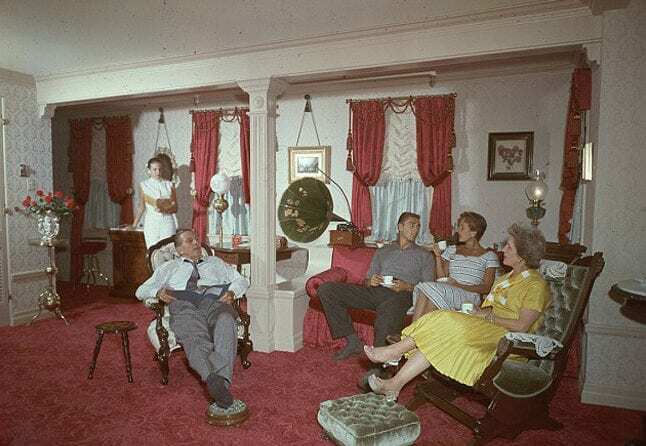 The suite was originally intended to accommodate Walt Disney and his family, so it has to be nothing short of amazing. When people walk through the parks and watch the costumed characters jumping around and doing everything they can to entertain kids and their families, they usually forget about the fact that there are real people behind them, and boy does it get hot inside these costumes. Can you imagine walking around with basically a human shield when it’s 98 degrees outside? Some performers got to the point that they literally fainted. The costumes have been modified over the years and they are a bit more ventilated, however it still must be incredibly hot inside these furry costumes. Some structures at Disney World have more to them than meets the eye. 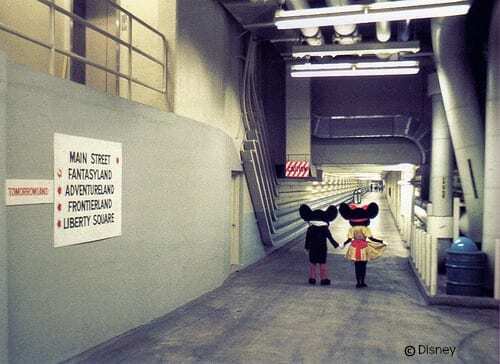 The second floor of the Magic Kingdom for example, is actually a huge utility concrete and steel structure that was built in order to hide workers who were off duty or for other logistical purposes such as break rooms, trash collections, kitchens and more. It’s like the backstage of the park. 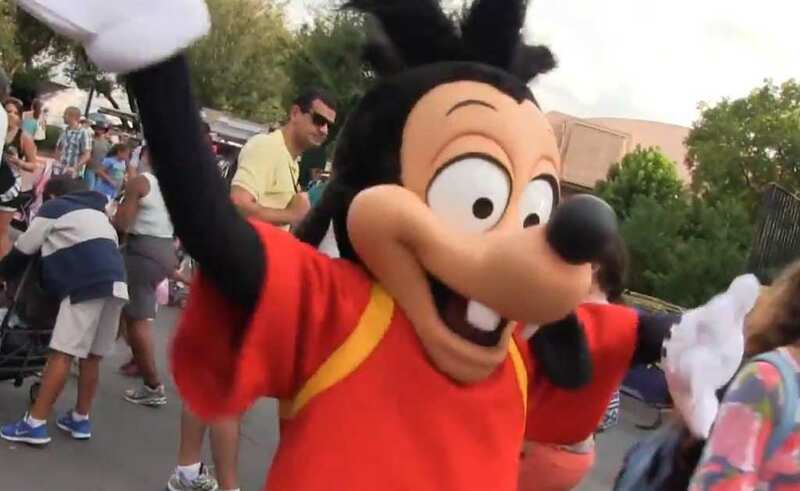 In fact, guests can actually visit the Utildors, but only if they are over 16, after all, seeing your favorite cartoon walking with a real head of a human being might be a little too much for an eight year old. 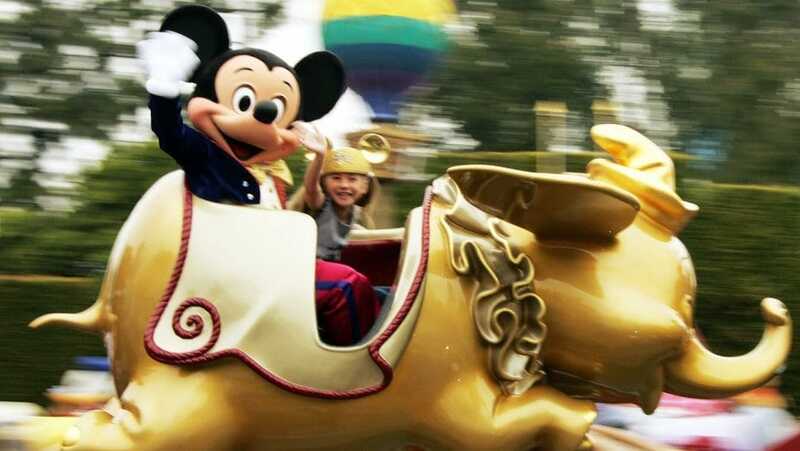 From the outside, Disney parks might seem like the happiest places in the world. The place that kids fantasize of visiting for years and parents dream of it as being the perfect family vacation site. However, inside, the picture can become a little bit different, or a lot different. It’s safe to say that parents can literally lose it when visiting the park with their kids: The pressure of their children misbehaving or being scared of certain rides, to repeating songs, and everything just being overcrowded – it all pretty much sets the ground for pressure building up causing major family disputes. It’s like the ground zero for family problems. Water effects, lasers, music, fireworks and more – it all sounds like the perfect nighttime show for people visiting Disneyland, however the “Fantasmic!” show that is being held on the Rivers of Americas not so Fantasmic if you know everything that it takes to make it the big highlight that it is. 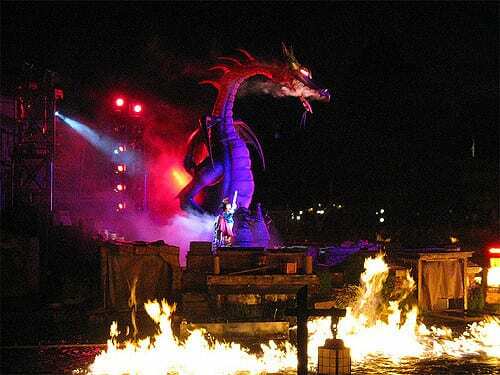 Part of the show is the big dragon that roars fire, but this special effect is actually harmful for the ducks that are hanging around the river, to the point that some of them were caught in the fire several times. Disney has made some changes though, and now it operates special systems that scare the ducks off before the show begins. Donald Duck must not have been happy. All around Disney World and the different resorts, there are hundreds of Micky Mouse heads that are hidden in the most unexpected places. It’s actually one of the coolest and most subtle attractions at the park, and if you ever get tired of the spinning rides and other entertaining shows, you can always try and spot the heads, because no matter how nay times you’ll visit the park, you are always bound to find a new Micky Mouse. 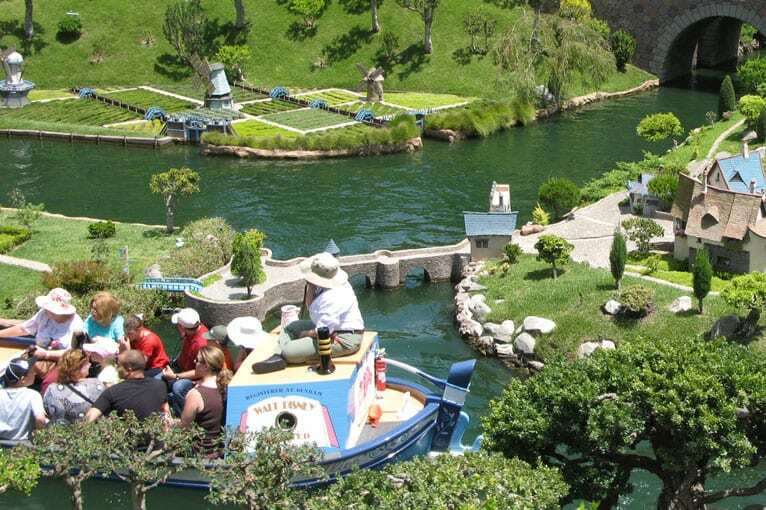 Some of Disneyland’s attractions include super fun waterways such as the the Storybook Land canals, the Jungle Cruise or the Rivers of America. If you ever visited any of them you must have noticed that the water has an unusual green color. While many might think that it’s some sort of a special effect or worse, that it’s the water being extremely dirty, it’s actually completely intentional in order to make visitors feel like they were floating freely on the water. That effect can be received by dying the water green. 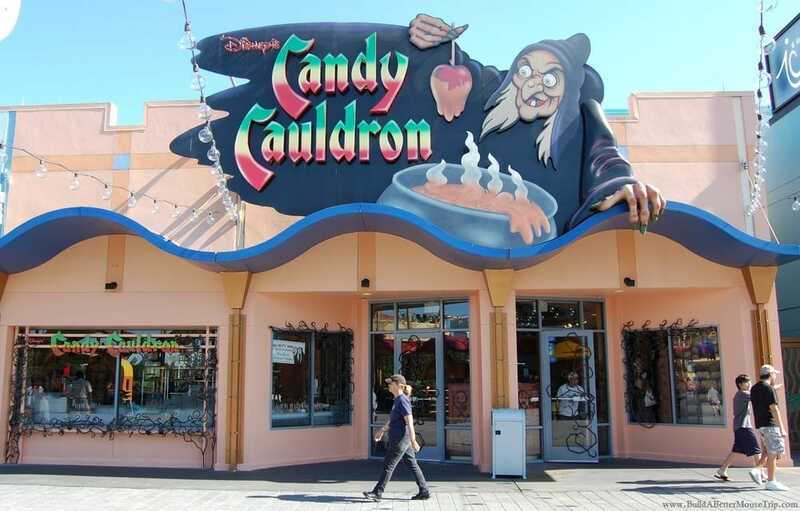 If you ever craved gum when you were visiting one of Disney World parks, you must have been very surprised to find out that the shops at the parks do not sell gum. It’s already a hard enough job to try and keep the walkways clean with the thousands of visitors making their way through the different sites, so it was a very conscious decision to not sell gum so it won’t get stuck on the rides or on the ground. Main Street U.S.A. is one of the first ‘theme lands’ you will encounter when you step inside many of Disneyland parks around the world. One of its purposes is to resemble an idealized All American town. However, while this idyllic Americana town might seem perfect, none of the dozens of American flags the are spread around are technically real. 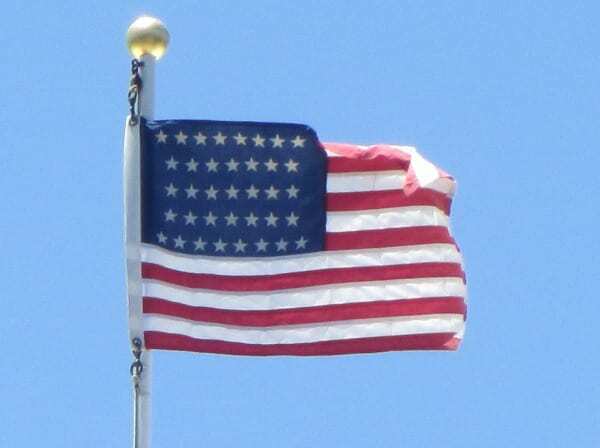 None of them feature the typical 50 stars that are found on a real American flag, and that’s because such flags don’t count as real if they have less than 50 stars and so they don’t have to be lowered or raised when the weather gets bad. Mr. Toad’s Wild Ride was one of the first rides that were built at Disneyland Park and was one of the favorite rides among the hundreds of visitors. In 1997, it was announced that the original ride will be replaced by a new and more universal one, called The Many Adventures of Winnie the Pooh. This transition from the historic ride to the new one resulted in many protests against that move from people who wanted the original Mr. Toad’s Wild to remain open. 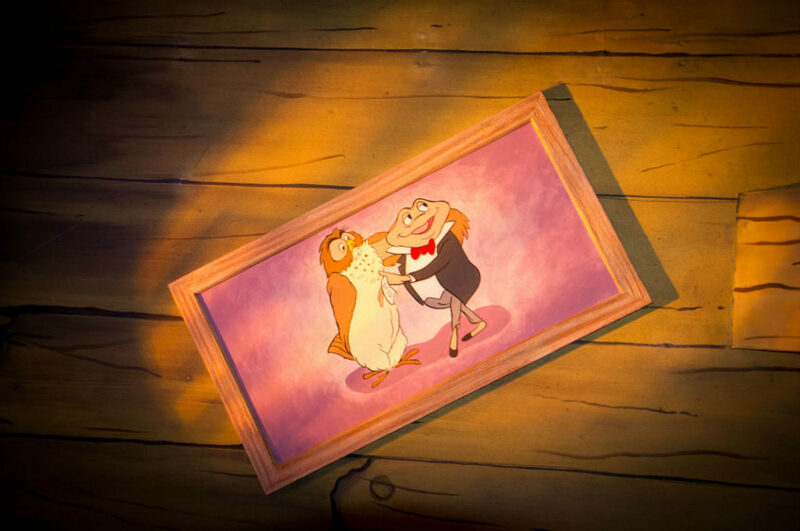 As a tribute to the old attraction, paintings of Mr. Toad can still be found on site. It’s known that some of the greatest magic in the world beings when the sun sets down. 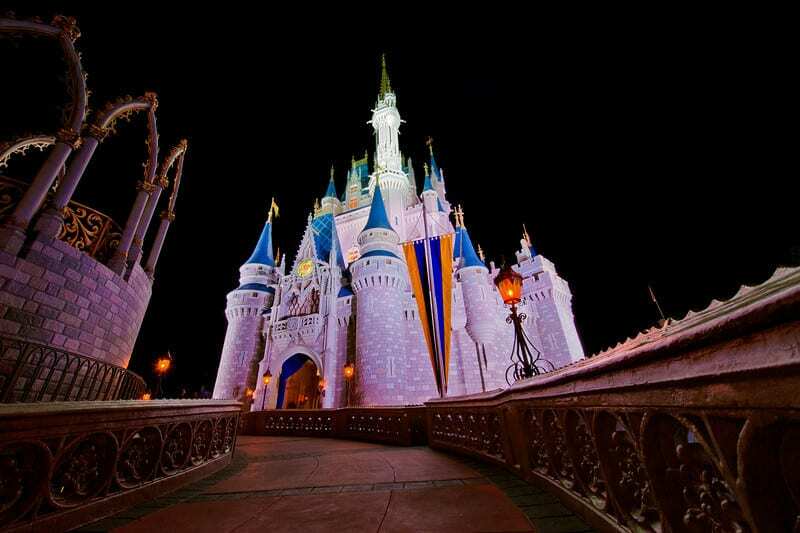 If you are patient enough and a big fan of surprises, then stick around Magic Kingdom for about thirty minutes after the rides close for the day and you’ll be pleasently surprised to see the Kiss Goodnight Show on the fairy tale cinderella castle. This is one of the least advertised shows that take place at the park and in includes some aspects of the speech that was given by Roy Disney, Walt’s younger brother, when Magic Kingdom was opened. While it might seem that Disney World is a well oiled machine, it’s actually the ride you have to make in order to get to the park that kind of takes the magic out of the whole ‘fanatsy’ journey. Next time you’re flying to Disney World, you might want to consider renting a car instead of taking one of the buses that the park operates, as there have been endless complaints about their lack of efficiency in terms of the time it takes until you get on the bus. Definitely not the best way to travel. 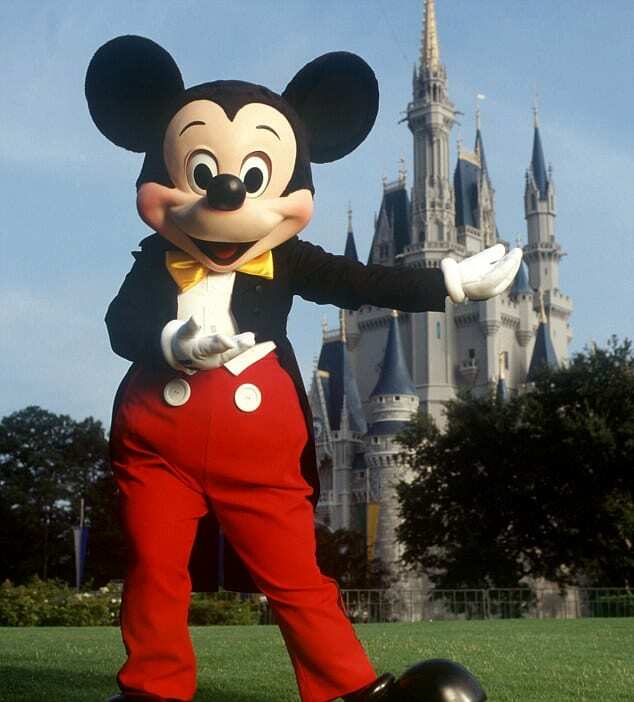 One of the best kept secrets that have to do with the world’s most famous Disney character, also known as Mickey Mouse, has to do with his clothes! There are endless merchandise and products related to the famous mouse, but if there’s one thing you can’t but is the exact color of his shorts. 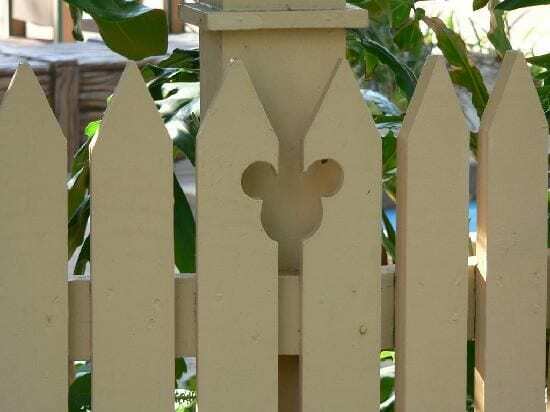 Perhaps due to copyright issues, the precise hue of Micky Mouse’s bottom attire will always remain a secret. Kilimanjaro Safari at animal Kingdom in Florida’s Walt Disney World Resort holds some of the most exotic animals that it really feels like you’re driving through the savanna of Africa. 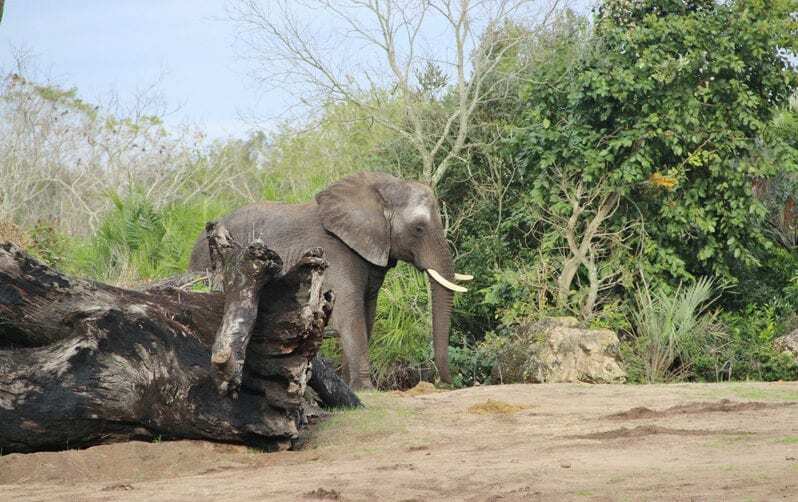 The animals are kept under good conditions and are treated considerably well, however in order to get them to pull off stunts, the staff would do all kinds of questionable exercise including shooting raisins out of cannons in order for the gorillas to move around or by smearing honey on elephant’s trunks so they would use them for entertainment. Have you ever wondered what fantasy smells like? Now you don’t have to imagine because if you pay a visit to Disney World you’ll be able to smell the unique scent that is spread around the park by ‘smeltilizers’. Maybe it’s another tactic that is used for having visitors remember their good time and happy experiences by recalling the good smell of vanilla in the air, either way it’s an interesting strategy an it’s definitely unique. You can smell them but you can’t see them. 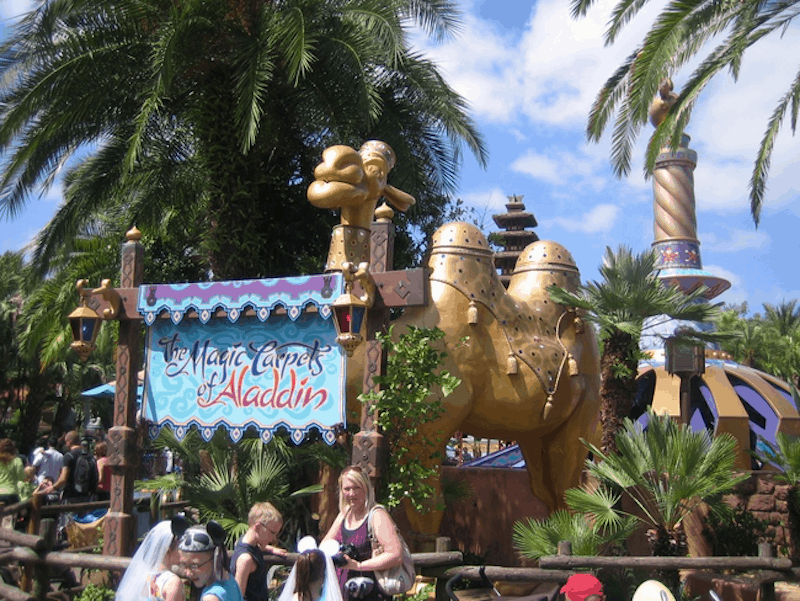 The Magic Carpets of Aladdin ride that is based on the 1992 film which featured the animated hero and his flying carpet, features a camel at the front of the structure which throws or spits water from its mouth at people passing by. Many believe that the spitting camel does it randomly, but what they don’t know is that there is actually someone sitting close by operating the camel and orders it to spit when people walk by. What started as a ‘fun’ theme at a Disney theme park, soon turned to be quite frightening for many of the park’s guests. 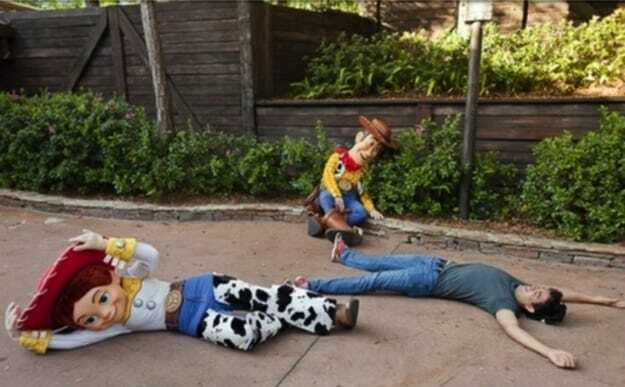 Based on the remark being said in the famous Toy Story film series, ‘Andy’s Coming!’, the costumed characters of Woody, the cowboy doll and his cowgirl friend, Jesse would stop everything they were doing and drop to the ground whenever someone was yelling ‘Andy’s Coming!’ For obvious safety reasons, this act was soon terminated. 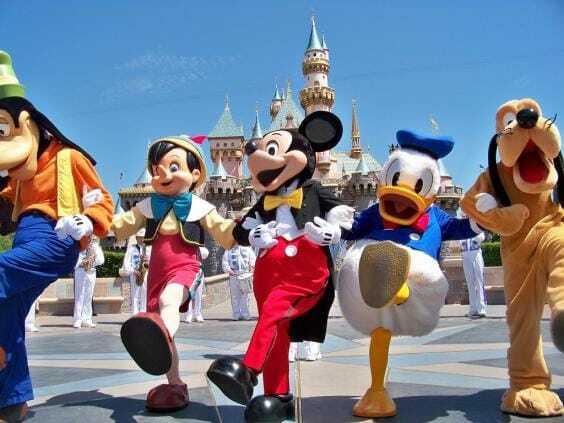 A big part of the high spirits and good atmosphere at the theme parks are due to the staff and members that are doing everything they can in order to entertain the visitors. But who said these workers don’t need their free and fun time every now and then to recharge their batteries. 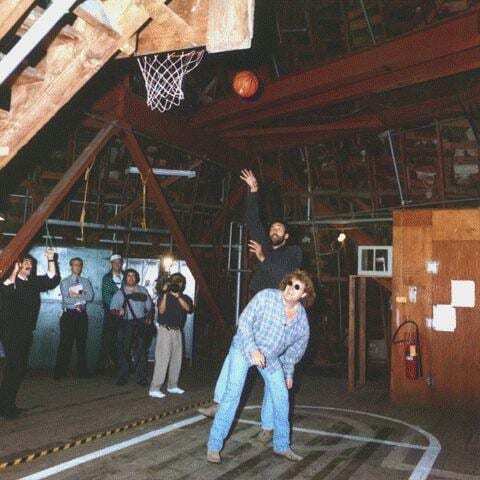 Well, the rumor has it that the staff has their very own and private secret basketball court that’s located inside one of the floors of the Matterhorn ride at Disneyland. Just like a good Super Mario game, in order to get ahead in life you need to pick up on different tools that will give you an advantage over others. One of the secrets at Disneyland’s Magic Kingdom is found at the Tom Sawyer Island, the artificial island that is surrounded by the Rivers of America. If you pay good enough attention, you’ll notice a paintbrush, and trust us you want to grab it as quickly as you can. 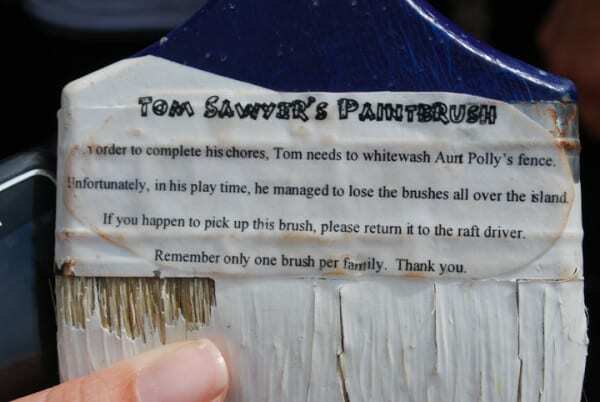 Once you find that paintbrush and you’ll pass it on to the closest employee you can find, you’ll get a free and fast pass for one of the rides of your choice. That’s a pretty good deal considering the long lines. Who would have ever believed that one of the only three places that feature a Presidential Seal is actually at Disney World’s Hall of Presidents. It actually involved an act of Congress to have the Presidential Seal at the theme park. You will notice it in the carpet when you walk in, but you won’t be able to step on it as it’s surrounded by a gate. The other two places where it’s found is the famous Oval Office and at Liberty Bell. 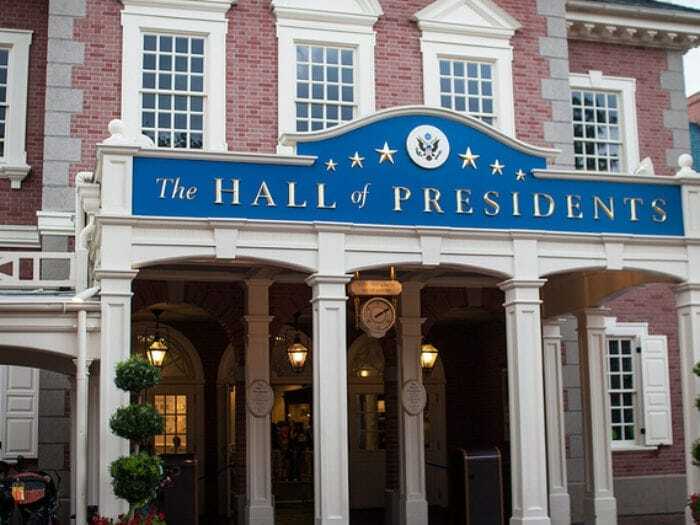 Speaking of Presidential matters, every time a new President is elected, the Hall of Presidents is being paused for a while until the ride is updated with the newly elected person. The Inauguration is a mythical time for the workers of the Disney World who have to refurbish the place accordingly and keep the place as updated as possible. We sure can’t wait to see the renovations that will be made with the new 2017 Presidency. Next time you’re at Fantasyland at the Walt Disney World Resort, check out the ‘Be Our Guest’ restaurant and ask for the secret desert. 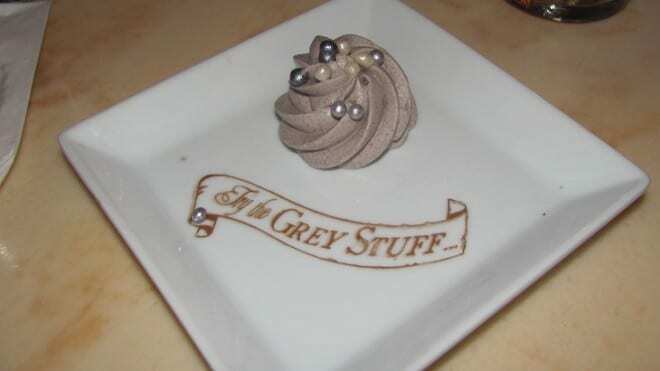 You won’t find it on the menu, but if you’ll ask for ‘the grey stuff’, don’t worry, people won’t look at you weird, and the waitress will know exactly what you’re asking for. The ‘secret’ desert is actually a reference to Beauty and the Beast and the song from the famous movie. We bet it tastes even better knowing how secretive it is. When Disneyland was in its first construction days, Walt Disney wanted a place of his own where he could work from and watch the activities that are going on at the park. He requested to build a special apartment that was built at the Main Street Firehouse. It was his private ad very hidden getaway from the rest of the fantasy world he was building, and he didn’t allow any pictures taken of him or his family inside the secret place. 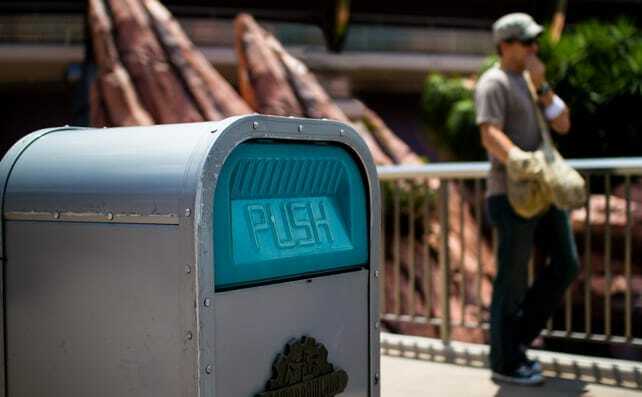 If you make your way through the park and notice many trash cans, in fact you’ll notice one every 30 steps, then you must know that it’s completely intentional. When Walt and his tea, were first designing Disneyland, they tried to calculate how many steps it would take someone before they decided to drop their trash on the ground if they didn’t find a trash bin nearby. They found that it was on average 30 steps and that’s the distance between each one. On the sign at the entrance to Animal Kingdom you can notice a dragon amongst the other animals who are less fictional. This is because the area was originally supposed to be named the Beastly Kingdom and was going to be dedicated to animals of myth. 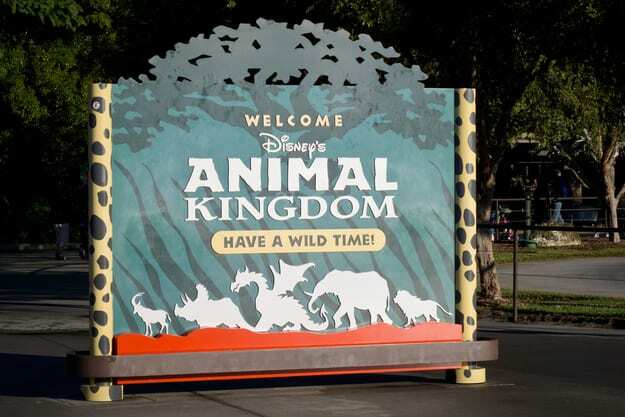 The scrapped are of Beastly Kingdom is now the famous Animal Kingdom that we all know and love, but the sign of the original plan will always bet there. That’s one way of preserving history at the most famous theme park in the world.